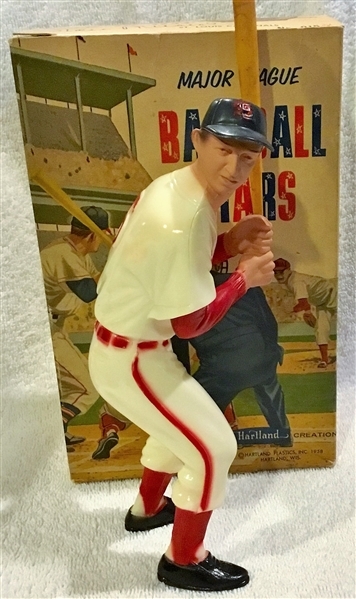 Here's another great looking statue from Hartland Plastics Original 18 baseball series. 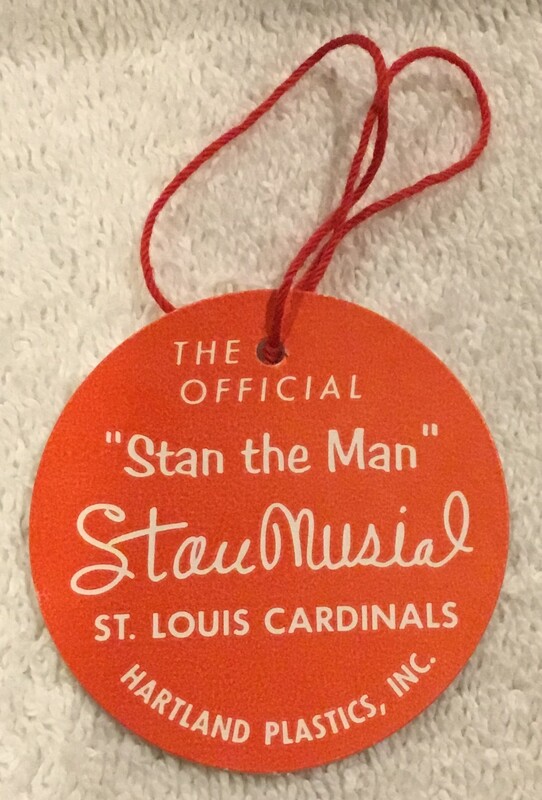 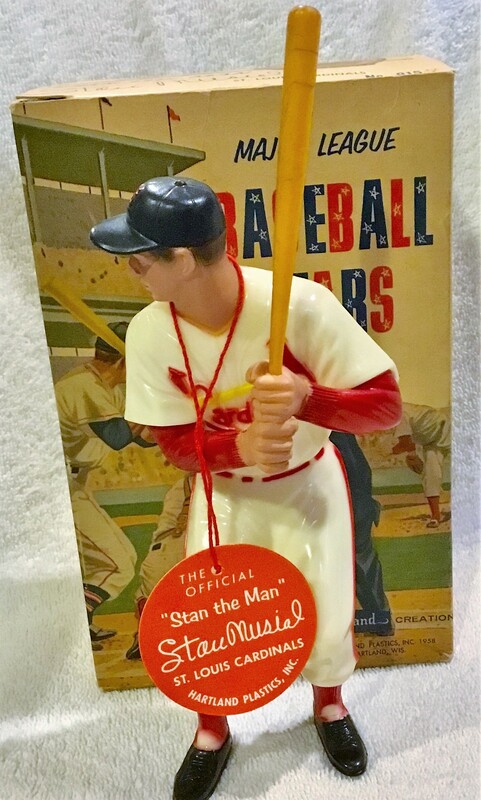 It's of one of Baseball's All-Time greats- Stan Musial. 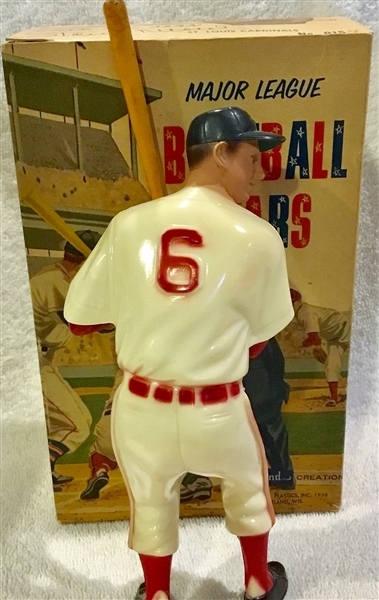 The statue has nice bright white coloring with strong paint. It stands perfectly on its own and comes with an original bat(shortened). 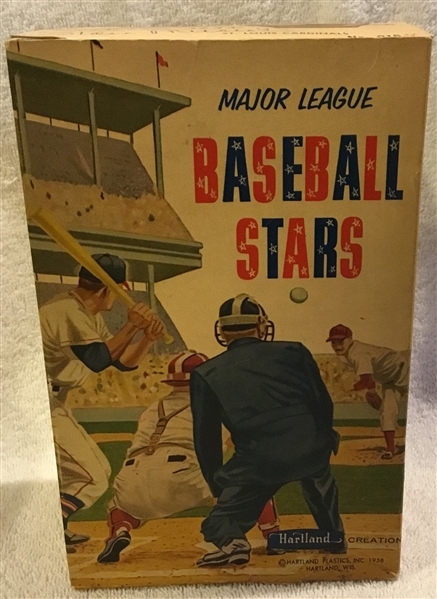 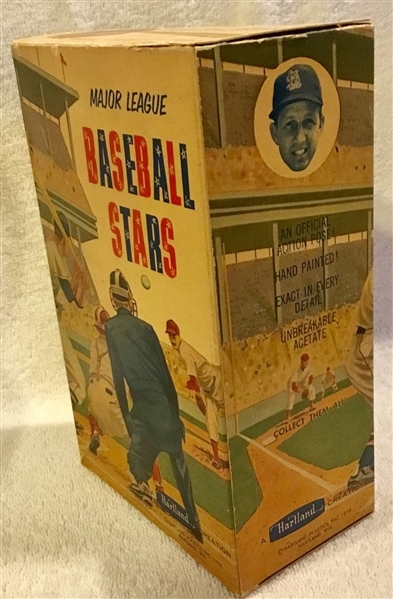 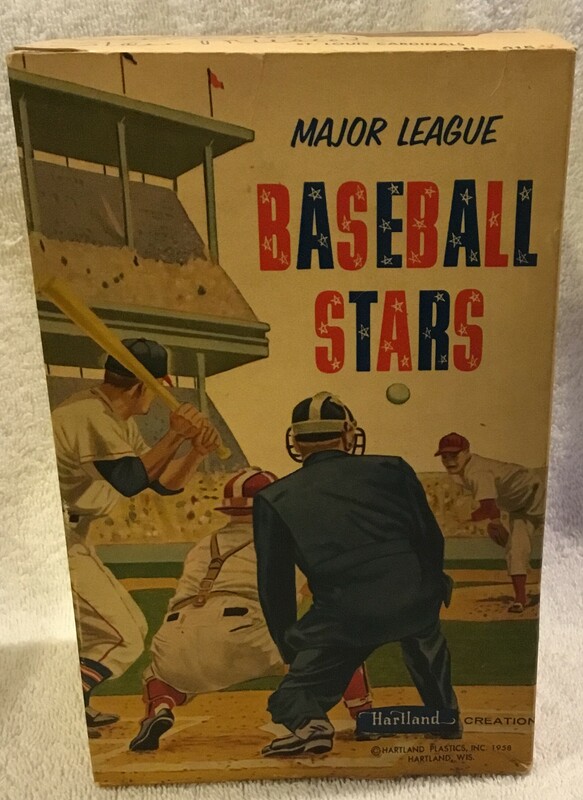 The box is solid( one inside flap is detached) and in excellent plus condition. It comes with a repro hang tag.